One of the most important elections in recent history will be taking place this coming November 8th. Please exercise your right to vote. Voting is the cornerstone of our democracy. It’s your opportunity to voice you opinion on issues that effect you and holds accountable, leaders of our government. Voting is not only a right, it’s a responsibility. YOUR VOTE IS YOUR VOICE, so be heard and vote! Click HERE to see Hospitality House’s ballot endorsements for the upcoming November 8th elections and download our portable “cheat sheet”. ​Hospitality House staff and board member spoke on the importance of allocating resources citywide to spread the success of the Navigation Center. Jackie Jenks speaks at the Budget & Finance Committee hearing for Hospitality House on Vimeo. Hospitality House is a proud and active leader in Market Street for the Masses Coalition (MSMC), a collective voice of community organizations and neighborhood residents in the Mid-Market, Tenderloin, and South of Market neighborhoods which formed in 2012. MSMC works to build partnerships across levels and groups, to inform and educate our members and constituencies, and to call for policies and programs that ensure development without displacement. Over the past year, MSMC has been engaged in discussions with market rate developers in line with its Minimum Expectations for New Market Rate Developments in the Mid-Market Area, a document describing six areas in which developers may be responsive to community needs when building in the Mid-Market and surrounding neighborhoods. One of these areas is the higher level of inclusionary housing expected by our communities in developments built inside areas as extremely low-income and diverse as the Tenderloin.When the 1066 Market project, developed by Shorenstein Residential, first came before the Planning Commission in March, MSMC opposed it on the grounds that it included only the minimum level of inclusionary housing required by law (12%). This was unacceptable to the coalition, as it did not come close to addressing the needs of residents of the Tenderloin. Not only was the percentage of units too low, the level of affordability was as well. 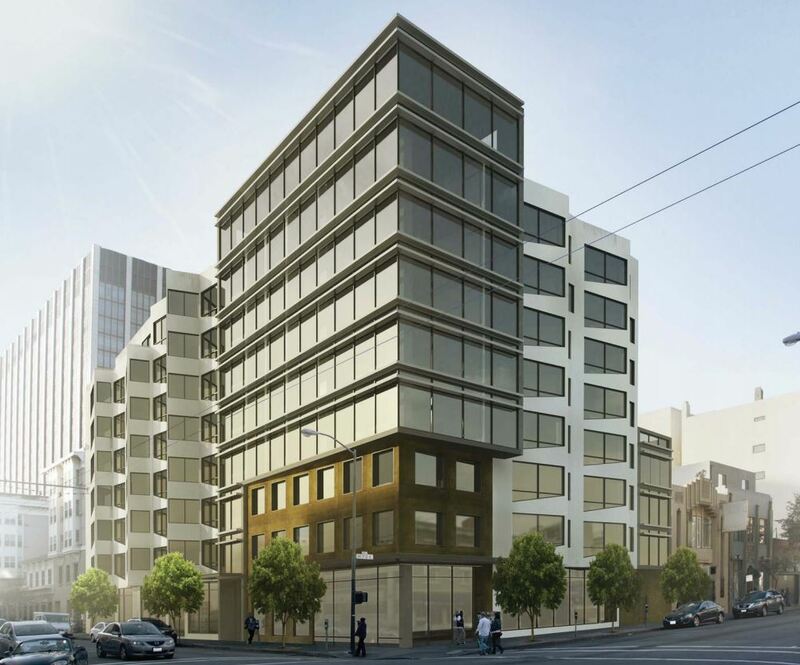 The 36 units of on-site below market rate housing would have been affordable only to households with incomes much higher than those of many Tenderloin residents. 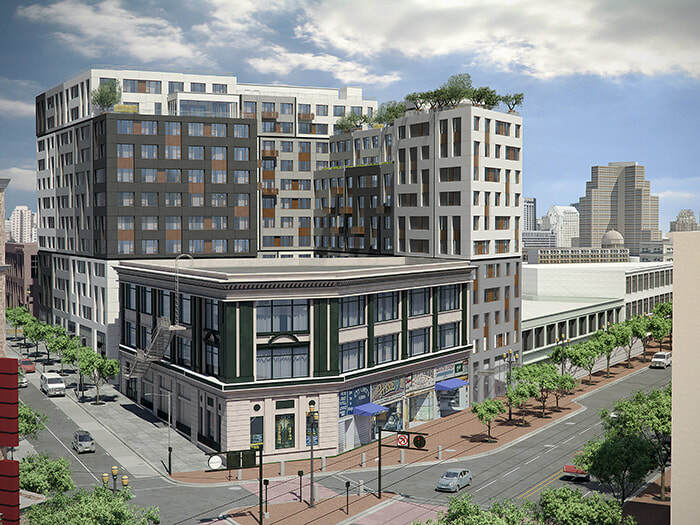 Upon approval of the project by the Planning Commission, the Tenderloin Neighborhood Development Corporation filed an appeal on behalf of the community. June 2016Last month, community members and leaders called on the Board of Supervisors to prioritize housing, childcare, immigrant and workers rights, and fair wages over a massive increase to police department and related criminalization expenditures. The Budget Justice Coalition, a collaboration of over 30 labor and community based organizations serving impoverished people working towards a City budget that prioritizes poor communities, authored a $54 million proposal that would achieve greater justice for San Francisco. The proposal called for the removal of additional police academy classes, halting the criminalization of homelessness people, removal of funding from the reserve, and making reductions to office supplies citywide as a way to pay for this. The budget in San Francisco has received increased revenue through real estate transfer taxes, sales tax, and business taxes, and is now just over $9.6 billion. “In the midst of so much opulence in San Francisco, a city with overflowing coffers, we must prioritize the people who are suffering the most – children and youth, people with disabilities, seniors, the underpaid, the unemployed, and the underemployed” said Jodi Schwartz of Lyric, who co-chairs the Budget Justice Coalition. As a member of the Budget Justice Coalition, the Homeless Emergency Service Providers Association (HESPA), which is co-led by Hospitality House, believes that the City’s budget should increase resources to house homeless residents and prevent further displacement of low income San Franciscans. To that end, the 26 member organizations of HESPA called for an investment of $38 million over the next two years into San Francisco’s housing and homeless systems. After much advocacy and collaboration with the Mayor and the Board of Supervisors, HESPA was able to secure $23 million of this request, which will fund much-needed rental subsidies, eviction defense, homeless employment services, and shelter services enhancements over the next two years.